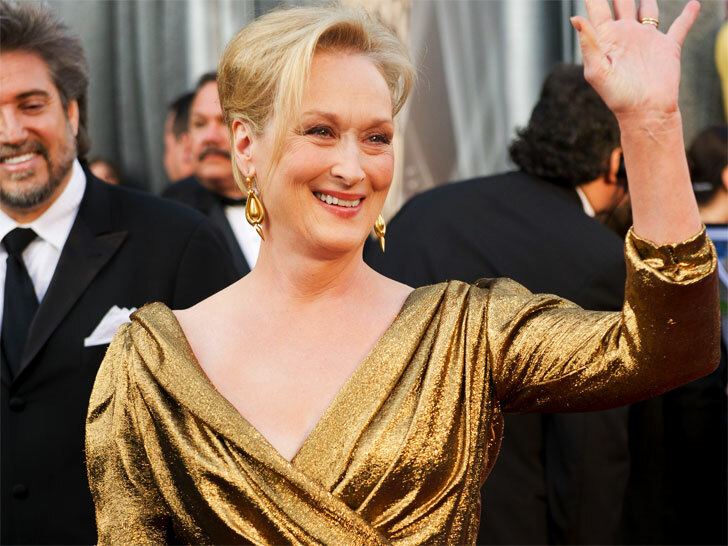 Meryl Streep is the Green Carpet Challenge’s newest recruit, announced Livia Firth on her blog. Wearing Lanvin’s first-ever eco-friendly gown at the 84th Academy Awards on Sunday, the two-time Oscar winner is a shoe-in to win Best Actress for her highly acclaimed turn as Margaret Thatcher in The Iron Lady. “The gown is gold, full-length and made from eco-certified fabric sourced with help from the GCC,” Firth wrote. “I could not be more delighted! Can you tell?” To complement her gilded frock, Streep opted for a pair of heels by Salvatore Ferragamo, Thatcher’s favorite shoe designer.